U.S. prosecutors are deploying novel tactics in the legal fight to make sure there's no mistake about the message: If China steals technology, it won't go unpunished. State-owned Fujian Jinhua Integrated Circuit and its Taiwan-based partner, United Microelectronics, pleaded not guilty Wednesday in San Francisco federal court after being charged with conspiring to steal trade secrets from Boise-based chipmaker Micron Technology. The companies’ indictment was the first under the Justice Department’s “China Initiative” announced in November to prioritize trade-theft cases and litigate them as quickly as possible. Prosecutors are deploying novel tactics in this latest fight, adding some experimental methods to layered enforcement actions to make sure there’s no mistake about the message: If China steals technology, it won’t go unpunished. “We want to use all available tools to make the consequences of this behavior economically untenable,” Assistant Attorney General John Demers said in an interview in November after the initiative was announced. In some cases defendants, with the help of their U.S.-based lawyers and the Chinese government, simply feigned ignorance, acting as if the indictments didn’t exist. Not this time: Lawyers for Jinhua and UMC showed up at Wednesday’s arraignment. Prosecutors are also testing for the first time a provision of the Economic Espionage Act dating back to 1996 to bring a civil suit alleging trade-secret theft on top of the criminal indictment. Through the civil case, the government is aiming to block Jinhua’s exports of dynamic random access memory, or DRAM, that the U.S. says relies on technology stolen from Micron. It’s a multipronged strategy: on Oct. 30, a few days before the “China Initiative” was announced, the Commerce Department blocked sales of U.S. chipmaking gear to Jinhua, grinding to a halt the company’s plans to produce semiconductors. China, by far the largest market for DRAM, has made its production a national priority so it can end its reliance on $200 billion of annual imports. Chad Kolton, an outside spokesman in the U.S. for Jinjiang, China-based Jinhua, didn’t immediately respond to a request for comment. The rule change on serving indictments is key. For years, prosecutors tried and failed to serve China’s Pangang Group, a Chengdu-based chemical company, charging the company with stealing trade secrets from DuPont. A U.S. judge ruled prosecutors failed to comply with the letter of U.S. law and China refused to help, according to court filings. After a 2016 rule change from the U.S. Supreme Court, an appeals court agreed in 2017 that Pangang Group was properly served an indictment through its longtime lawyers in the U.S. — five years after the case was filed. 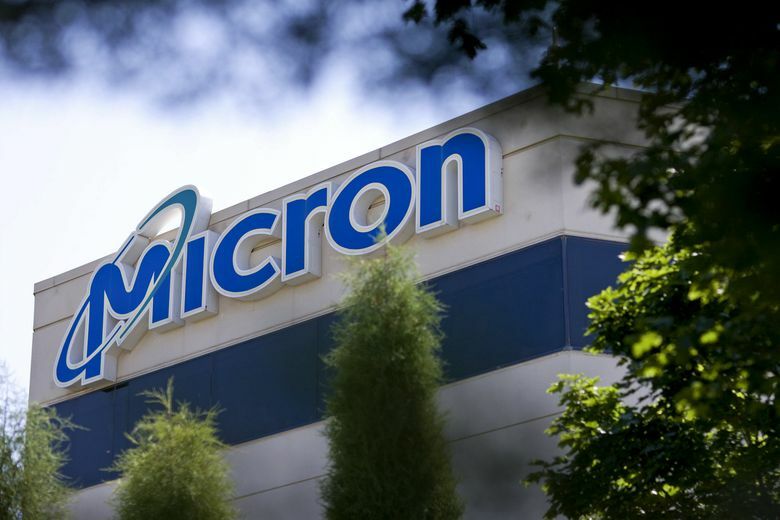 Micron spent almost a year trying to serve a civil trade-secrets complaint against Jinhua. A copy sent to the Chinese Ministry of Justice was returned stating, without further elaboration, that “the Chinese translation is not complete.” Chesney concluded Micron can simply email the complaint to the companies’ lawyers in South San Francisco and Washington, D.C. The ruling amounts to Chesney saying: “‘Listen, we’re not going to let a foreign entity avoid liability by playing games,”‘ Ramani said.